Punch Double Coronas are now back in stock! Consistently listed on top review articles along with several review sites including Cigar Aficionado, the Punch Double Coronas are a sure bet for any collection. 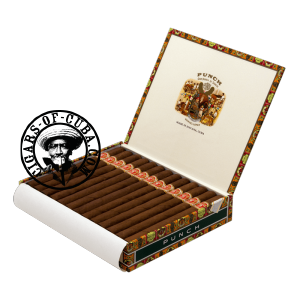 This medium to full bodied cigar is rich and com-plex, with fantastic leather and coffee notes combined with pleasant nutty undertones. Stock is still limited, so orders will be locked to one box per order.